An All-American Barn | "A Place for Learning"
While we were painting the Barn with Flag a few months ago at Paint Parties (see those here and here) I started working on this one as well. I finally had some time at Open Studio yesterday to wrap it up. I like the image of old barns with our flag hanging proudly. 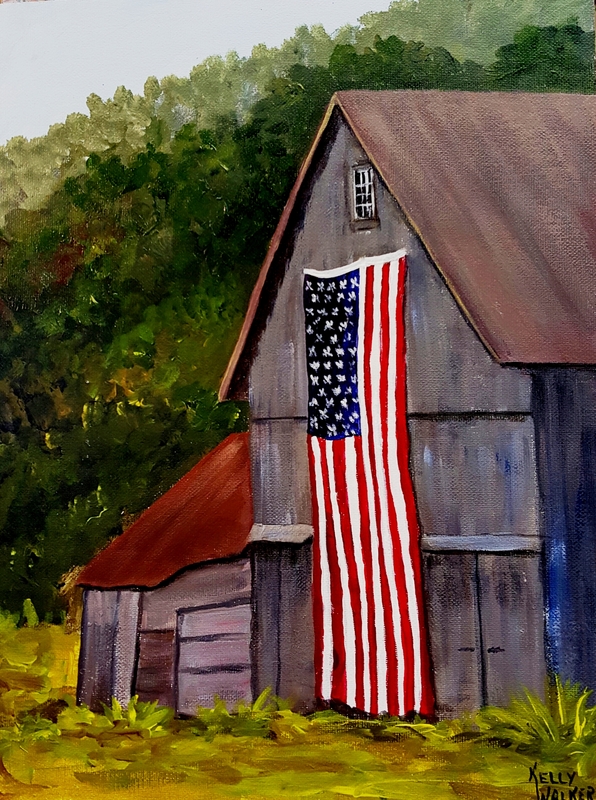 All-American Barn, acrylic, 9″x12″, available for sale.